Angelo Montemarano and his wife, Filomena, both of whom had emigrated to America from the Italian province of Avellino as children, opened the very simple and no-frills “Angelo’s Tavern” in 1906 in Brooklyn. The Montemaranos grew produce in the backyard and lived with their 7 sons in an upstairs apartment where all the boys were born. Filomena cooked the food and Angelo “Pop” Monte, worked the bar and the restaurant, with the boys all joining in as they became of age. The restaurant grew in popularity over the years based on their proven recipe of providing true family hospitality and serving delicious “home style” Neapolitan fare. Angelo’s was even a speakeasy during prohibition (they made their own liquor in the basement), with a password required for entry and a chute to the basement in case the staff needed to dispose of the bottles ahead of a police raid. In 1941, after the invasion of Pearl Harbor, six of the seven brothers enlisted in the military, with one staying behind to run the business. By the grace of God, all of the brothers made it home safely after the war only to be handed aprons after 3 days of “vacation” and were put to work. It was then that Angelo’s received a massive facelift and was renamed Monte’s Venetian Room. Despite the name, most cooking remained solidly Neapolitan. The new, more elaborate design featured red booths and painted murals of Venice on the walls. 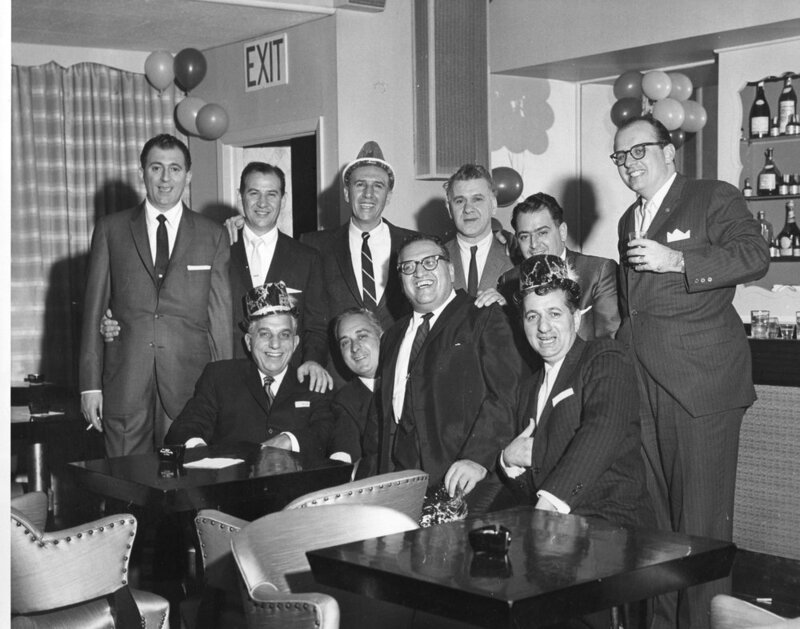 Monte’s became both a well-kept secret and a legendary hangout; a neighborhood restaurant beloved by the Rat Pack, the mob, politicians, sports figures and just about anyone who knew anything about Brooklyn. In 1956, the Monte family decided to expand the brand and moved some of the family eastward to purchase and manage the iconic Gurney’s Inn in Montauk, NY. The small oceanfront hotel property was enhanced and expanded over the years to become the internationally acclaimed destination resort that it is today. The responsive, concerned and dedicated on-premise, family management that was offered there was a continuation of the values and gracious hospitality that were handed down from the family founders, Angelo and Filomena. Today, the Montes have reinvented themselves in the fertile Hudson Valley of New York with the advent of Monte’s Local Kitchen & Tap Room in Amenia. This more recent development in the long historical legacy of the Monte Family came about in 2014 when Ann Marie (daughter of Angelo Jr), spotted a restaurant building for sale in Amenia. The building so closely resembled the original Monte’s building in Brooklyn that she told her other siblings it was a sign from the heavens and that we had to open a restaurant! Shortly thereafter, Ann Marie, her 4 siblings and all their spouses joined forces with Chopped Champion Dafna Mizrahi and the seeds were sown for the birth of a new entity to be called Monte’s Local Kitchen & Tap Room. Today, under the watchful eyes of Angelo “Chip” Monte (former Executive Chef at Gurney’s Inn) and his wife Candice, Monte’s stands ready to continue in the footsteps of our ancestors. Our mission is, and always has been, to provide our guests with excellent family inspired cuisine, sourced locally and sustainably (to the extent possible), in an atmosphere of gracious hospitality and service, as has been our tradition since 1906 in Brooklyn, and 1956 in Montauk.